Wearing a life jacket and tethers was one of the actions the crew aboard Foil, a Farr 40 that experienced a man-overboard incident during the 2016 Newport to Ensenada Race, acknowledged that they should have been doing at all times while on the vessel. Incidents in Marina del Rey, Newport to Ensenada course serve as reminders of potential perils of sailing. SOUTHERN CALIFORNIA — You are enjoying a pleasant day out at sea aboard a vessel and suddenly the day takes a turn for the worse. The vessel hits a swell awkwardly or strikes an object underwater to cause your boat to take on water. Perhaps you drop anchor 1 or 2 miles offshore but idled your boat in the wrong direction in relation to the swells. As a direct result of one of these situations one (or more) of the boat’s occupants falls overboard and into the water. What do you do to make the person is brought to safety? In the past few weeks there were two specific man-overboard incidents in or near Southern California waters. Those involved with a man overboard during the recent Newport to Ensenada International Yacht Race and sinking boat near Marina del Rey provided insight as to how each incident occurred. Each event also provided practical advice of how to respond whenever your boat is in trouble and/or people are overboard. 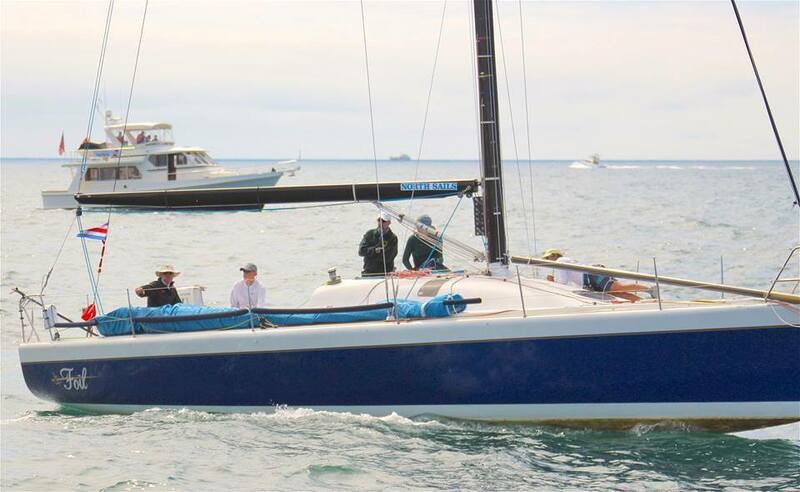 A detailed post on California Yacht Club Racing’s Facebook Page provided first person accounts of what happened aboard Foil before, during and after the man overboard incident that occurred during the Newport to Ensenada Race in April. Falling overboard was likely the result of overconfident sailing and not taking the proper safety measures, according to Val. As soon as Val fell into the water the rest of the crew went into save-a-life mode. One crewmember, Lisa, wrote it was her life purpose to serve as Val’s spotter and ensure he was kept in sight at all times during the rescue. Of course Val had to do his part to make sure he would be seen. Doing so, however, was hard since he could not move his left arm. Lisa continued to keep the rest of the crew informed of her sightline with Val as Gordon, another crewmember, gave the man overboard instructions. Val was eventually pulled from the water, brought back aboard and taken straight to San Diego for medical treatment. The narrative finished with the authors looking back at what they did right and what went wrong during the rescue at sea. The crewmembers identified four actions they could or should have done better. “First and foremost, we should all have put on life jackets and tethers much earlier,” the Foil crew wrote. “There should be no fuzz on the dusk-till-dawn life jacket rule. And, life jackets should be worn offshore in big breeze. The authors finished their narrative by acknowledging how fortune they were for everyone to return back to shore. A little farther up the coast authorities and boat towing services were hailed to rescue not one but 12 people overboard as the 35-foot Baja they were on was sinking more than a mile off the coast of Marina del Rey on May 1. Capt. Brian Wood, owner-operator of SeaTow Santa Monica Bay, said the 35-footer was idle in the water and parked stern to swell (as opposed to bow to swell), causing the boat and engine to take on water. The 12 occupants on board likely did not know the boat was taking on water until it began to sink. Wood told The Log he received a Mariner’s Notice of a boat taking on water and immediately headed toward the location. When he arrived the first thing he noticed was the vessel’s bow was down. He then noticed all 12 of the vessel’s occupants in the water and wearing life vests. He was able to rescue eight people out of the water by the time Sheriff’s deputies arrived. The other four people were taken aboard Sheriff’s craft to safety, according to Wood. The SeaTow owner and operator said one of the most important rules is to make sure there are enough life jackets for everyone aboard the vessel and they are either wearing them or can easily access one in case of emergency. If there is indeed an emergency and you are not wearing a life jacket then be sure to put one on as fast as you can (and without panicking). Trying to swim to shore once you are in the water is probably the worst thing to do. 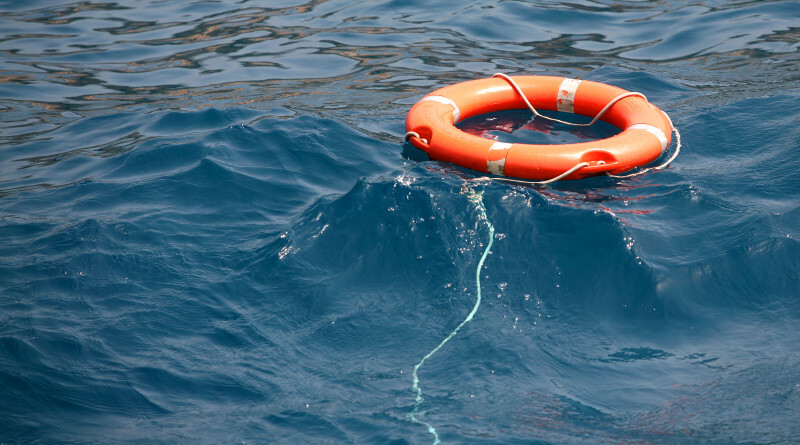 Not only is it harder for another boater in the area to see you but also it would be difficult for any arriving rescuers to find anyone who wades away from a sinking or submerged vessel. Wood said finding a human in the water after a boat sinks is like looking for a watermelon floating in the water. Stay as close to the boat as possible and remain with or near the vessel as long as you can, Wood said. A boat is a bigger target and easier to see, whereas most of your body is underwater and finding a head in the vast open space of water is far more difficult. SeaTow reminds boaters to issue a mayday call through VHF; not a cell phone. If you are still on a vessel as it starts to sink and you can call for help then be sure to call for mayday on the radio. Do not call 911 from your cell phone, as you will be connected with emergency services on land. A mayday call through VHF increases your chances of another boater or maritime organization (Coast Guard, Harbor Patrol, SeaTow, Vessel Assist) receiving your distress call. Also make sure the radio is on 16 for emergency transmissions. 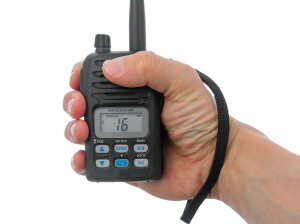 Radios can be a life saving device, Wood said, as you are more likely to get a hold of someone quicker.